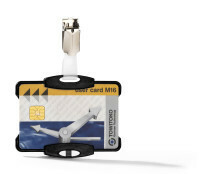 RFID card holder prevents the unauthorised reading of personal data. 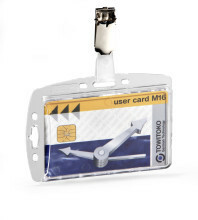 Landscape name badge for ID cards, security and visitor passes, 54 x 85 mm. 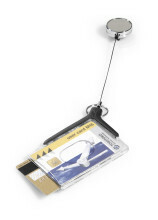 Complete with badge reel. 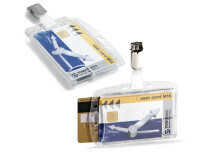 Arm band badge holders facilitate the identification of people in active working environments. 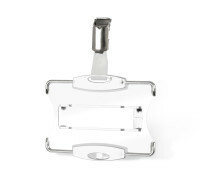 Holder can be used in either portrait or landscape format. 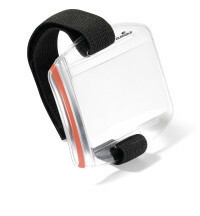 Supplied complete with badge reel with metal clip on the reverse for attaching to belts. 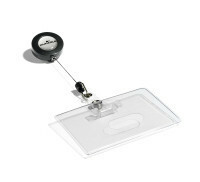 Security pass holder without attachment 54x85mm. 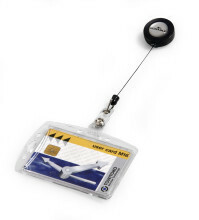 Combines with Durable badge accessories. 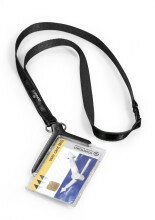 Portrait name badge for ID cards, security and visitor passes 85 x 54 mm. 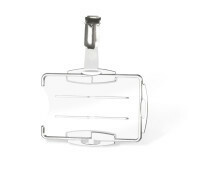 Complete with badge reel. 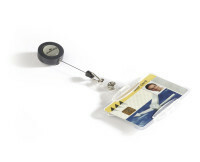 Dual security pass holder can be used in either portrait or landscape format. 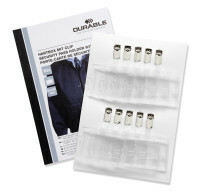 Supplied complete with badge reel with metal clip on the reverse and loop with snap fastener. 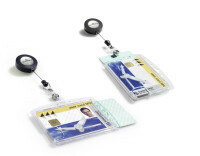 Acrylic pass holder with badge reel, ideal for storing and presenting ID passes, swipe cards and magnetic cards, 54 x 87 mm (H x W).